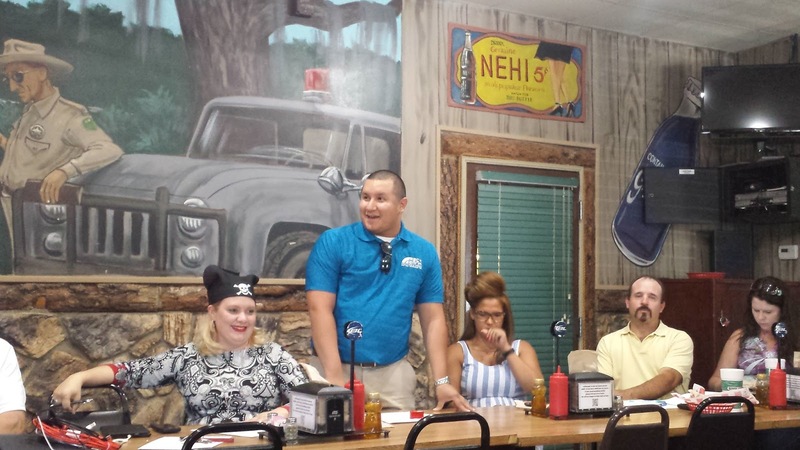 With four new members joining Llano Estacado Toastmasters Club just a few weeks ago, Daniel Farris became the first of the four to deliver his ice breaker presentation. 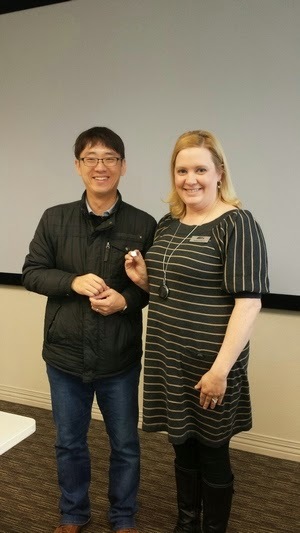 Leslie Demma, our Vice President of Membership, presented him with his membership pin after completing this first step in his new journey. Welcome to the club, Daniel! After Downtown's impromptu visit & banner raid of Llano Estacado Toastmasters last week, we decided that turn about was fair play. Except that we also needed pirate bandannas! 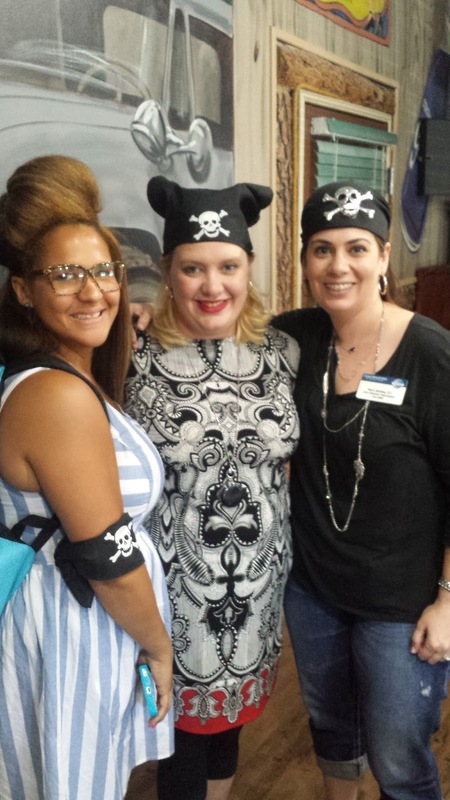 Of course, since our meeting also takes place at the same time, we left half the club at home to run the meeting while the other half donned their pirate gear and stormed River Smith's restaurant where Downtown meets. Llano Estacado club has had a great influx of new members, and with that many new Ice Breaker speeches! We are very excited to have these new members and even more so to continue hearing them speak and seeing them lead! Eric receiving his Ice Breaker pin from club President Kerry Mobley! Kelsey receiving her Ice Breaker pin from club President Kerry Mobley! Stacy receiving her Ice Breaker pin from club President Kerry Mobley! Leslie receiving her Ice Breaker pin from club President Kerry Mobley! Kendra receiving her Ice Breaker pin from club President Kerry Mobley! Like Money in the Bank! Andrea Garcia delivered her Ice Breaker presentation today at Llano Estacado Toastmasters club in Lubbock, Texas. Along with lots of pictures of her kids and some wonderful stories, Andrea also brought three guests from ABC Bank here in Lubbock, including Leslie who won the Best Table Topics speaker of the day. 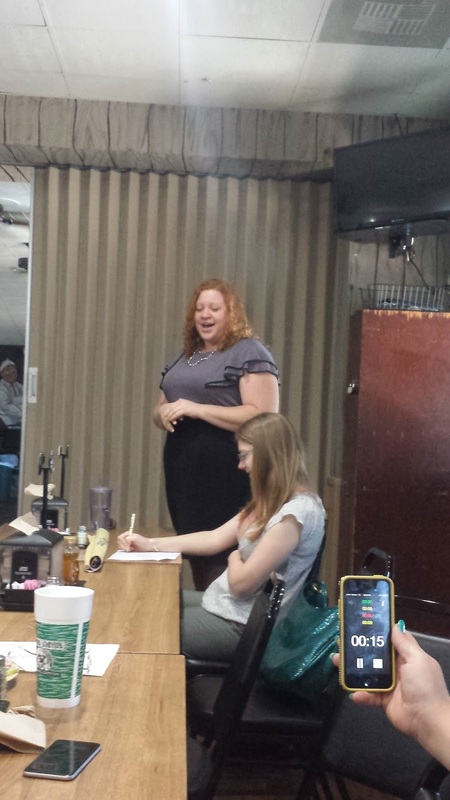 Andrea we're excited to have you in the club and are looking forward to your next speech! 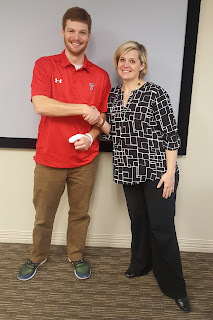 Llano Estacado Toastmasters' very own Jef Conn won the Area 61 Table Topics contest on Saturday, March 7, 2015, in Lubbock, Texas. Jef will go on to compete in the Division F contest in Lubbock on April 11th and, hopefully, on to the District 23 contest after that. 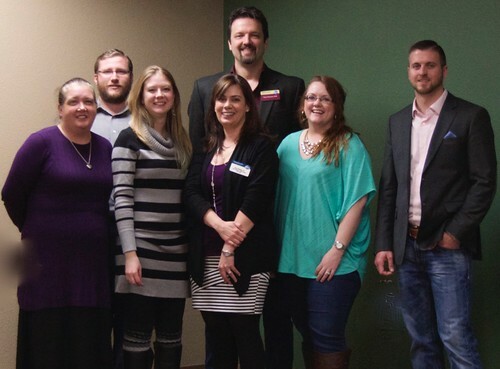 Table Topics is a long-standing Toastmasters tradition intended to help members develop their ability to organize their thoughts quickly and respond to an impromptu question or topic. 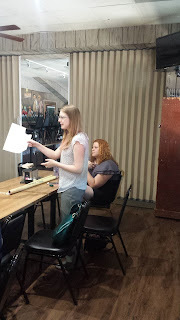 During a club meeting, members will typically get different questions from each other. During a contest, each contestant receives the same question (those who have yet to compete must wait outside so as not to have the advantage of additional time to think) and the judges choose the person who provides the best response based upon a number of factors. CONNgratulations Jef! Do us proud! Photo by Cliff Colvin. See all of the photos that Cliff took that day on his Flickr account. Cliff Colvin receives his CC name badge! Cliff received his CC badge today from Kerry on behalf of the club! The club sometimes has a little fun while posing for pictures as well. Kathy Puryear receives CC name badge! Kathy received her name badge from Kerry today on behalf of the club after getting her CC award! Kerry Mobley, Jef Conn, and Taryn Colvin have all received new education awards this month! Congratulations to them for their hard work and dedication. 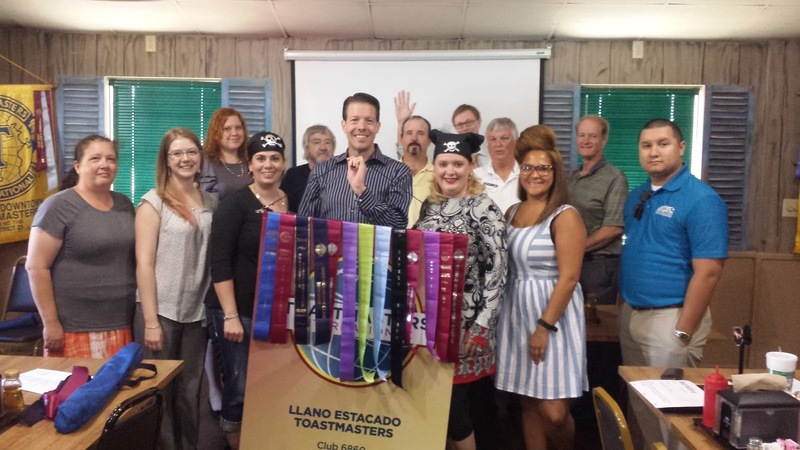 The Lubbock Professional Toastmasters club will be hosting the Spring 2015 contests for Area 61 and 62 on March 7, 2015, at 8:00 am. The briefings will begin at 8 and the contests will begin at 8:30am. The Lubbock Professional Club meets in the University Room at Green Lawn Church of Christ. See the maps below for details on how to get there. Having spoken extensively inside and outside of Toastmasters, Jef Conn will give you the nuts and bolts of how to expand your speaking horizons while getting paid in the process. A panel of Toastmasters who have advanced all the way to District-level contests and beyond will be on hand to give insights for doing better in contests as well as answering your questions about contests. Along with extensive speech evaluations, these are just a few of the things you can expert to learn and be inspired by at every meeting of the Lubbock Pro Club. Join us after the Area 61 & 62 Contests for a taste of what the Lubbock Pro Club can do for you. CC Badges & AG Ribbons! Congratulations to Llano Estacado Toastmasters' members Taryn Colvin, Kerry Mobley, and Amber Marsh for their recent achievements in communication and leadership. 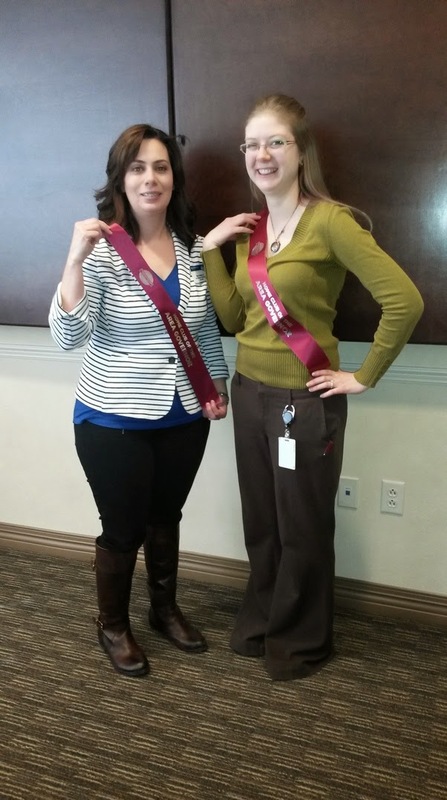 Putting their public speaking skills to good use over the last year, Taryn Colvin and Kerry Mobley each completed their Competent Communication awards and received their CC name badges from the club. Along the way, both took advantage of opportunities to speak outside our club. 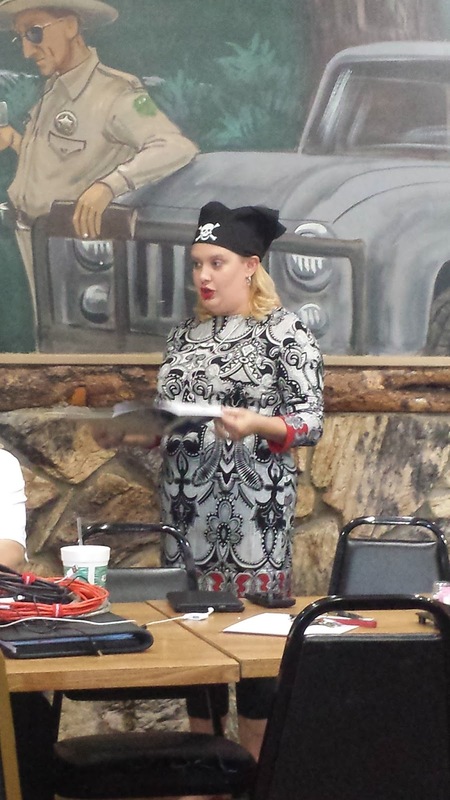 Taryn competed in a number of contests, making it all the way to the District 23 International Speech contest. Kerry assisted with several demonstration meetings, including speaking at one of the largest demonstration meetings in the history of our district. Congratulations Taryn & Kerry! Becoming a better public speaker isn't the only thing we focus on. Leadership is another important facet of our development. Kerry Mobley and Amber Marsh, both members of Llano Estacado Toastmasters here in Lubbock, Texas, are also the two Area Governors for Lubbock. Amber is the Area 61 Governor and Kerry is the Area 62 Governor. Each of them assist five clubs in Lubbock as well as participating in a number of district events. They recently received their "Home Club of an Area Governor" ribbons which will be added to Llano Estacado's club banner. 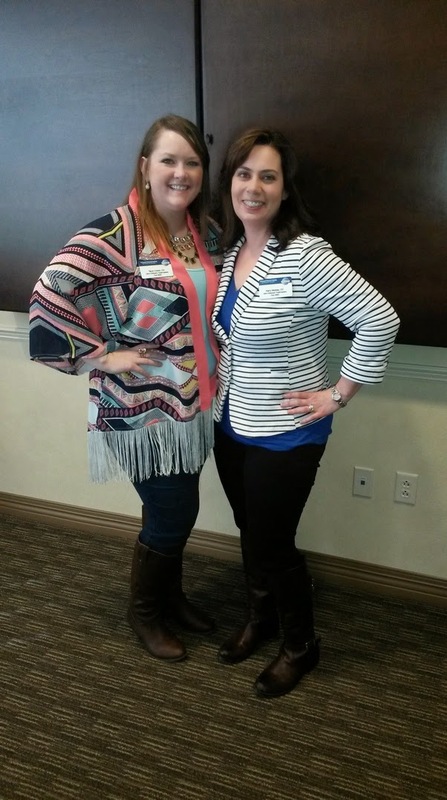 Thank you Kerry & Amber for representing Lubbock and Llano Estacado!